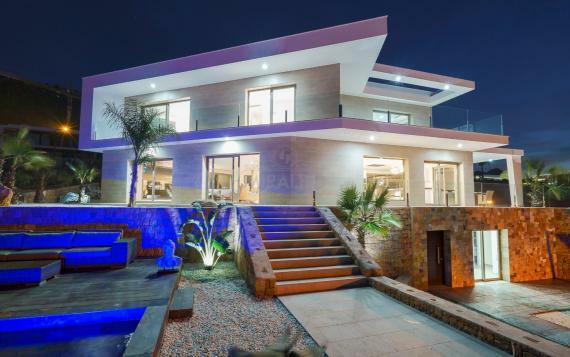 Special design with unique terrasses, inclined walls, spa. 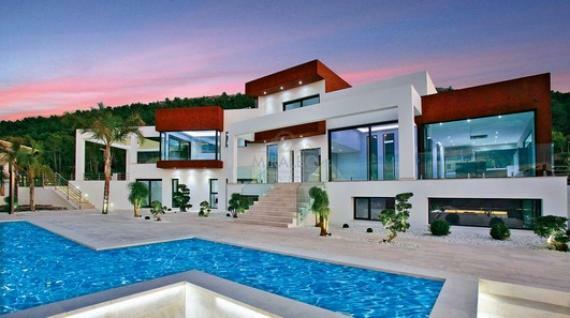 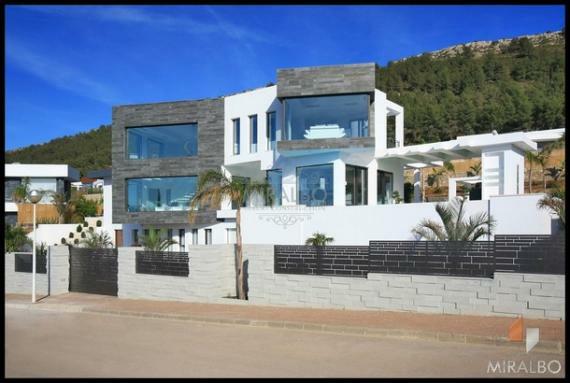 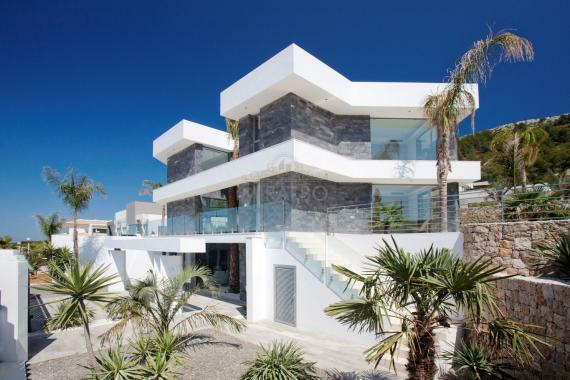 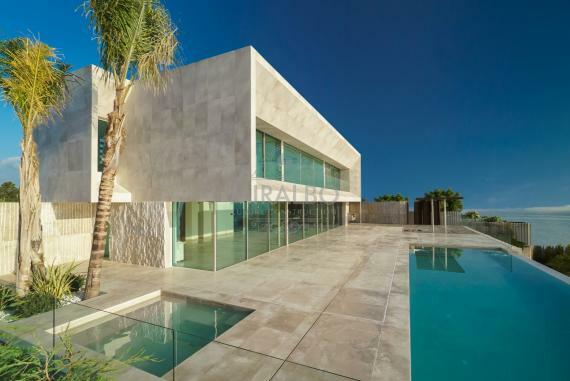 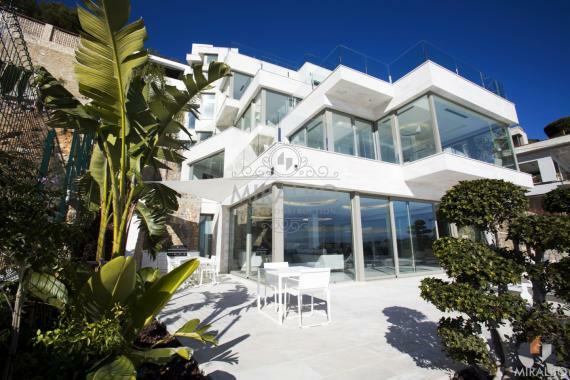 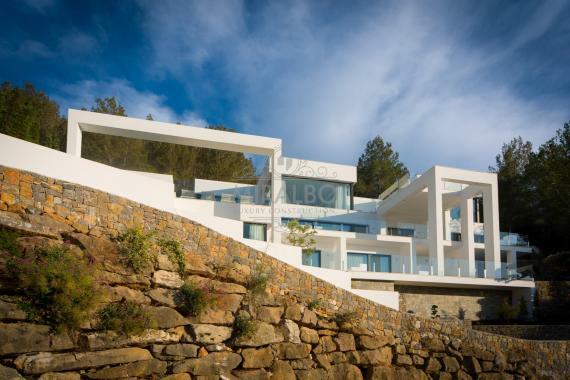 This 340 m2 design Villa was built by using the highest qualities on a fantastic 1.050 m2 plot. 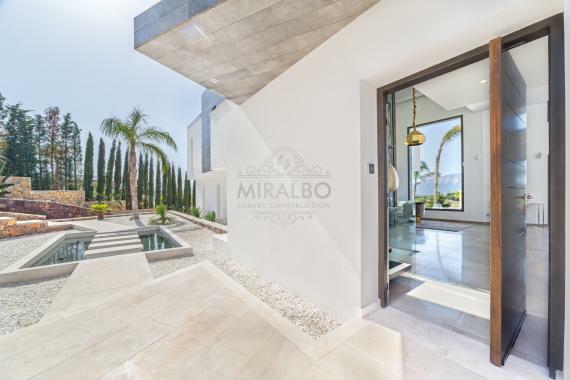 The Villa has 4 bedrooms, 5 bathrooms, a spacious lounge, kitchen/dining, “chill-out” terrace, A/C, floor heating, domotic system and cinema room. 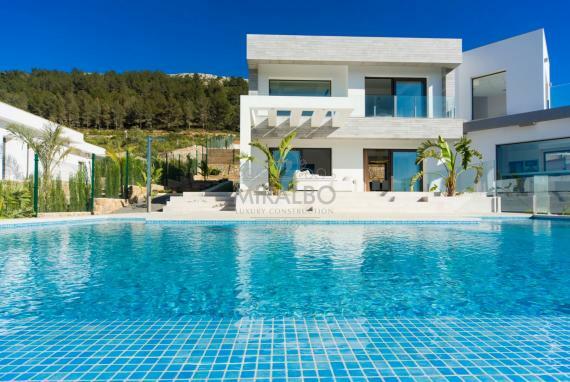 The Villa also provides a 12m x 4m infinity pool and spa with gym area and sauna. 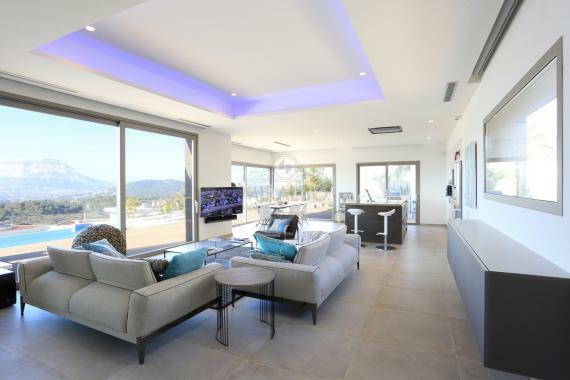 All fittings are PORCELANOSA quality. 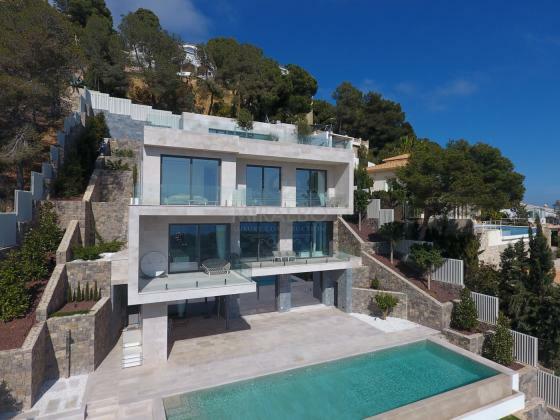 The property enjoys impressive panoramic sea views.